Storefront cleaning First impressions are everything. The exterior of your business is your first impression to your customer. It is the first thing a customer sees when they arrive at your business. And can possibly drive away potential customers. South Florida storefront pressure washing is one of the most important services that a business can utilize to make their location appear clean and professional. 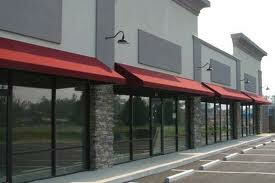 From your awnings to your building and your concrete sidewalks to your windows. We are South Florida’s premier choice for store front cleaning. We use steam pressure washers and state of the art equipment to make your storefront shine and attract the eye. Our highly trained staff is capable of working with buildings of all sizes and designs when it comes to pressure washing and making them look brand new again. A clean storefront can completely change the way your business functions. Your business contributes to the community through hard work and great service, but you can also contribute to the appearance of the community by keeping your business looking amazing. Let Sunshine Pressure Washing take care of all of your Commercial Storefront Cleaning needs today.